ArtsWave values and respects your privacy. 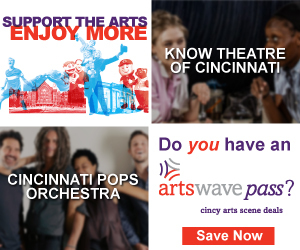 The information you provide is for ArtsWave's private use only. As a matter of policy, we do not sell or share any of your personal information to any other organization. The ArtsWave website automatically records information about your visit in server logs, including your IP address, your browser and platform type, and the pages you visit. This information is not personally identifiable. We do not track or record information about individuals and their visits. Rather, this information is aggregated and used in analyzing traffic to our site, or to a specific page on our site. Occasionally, we may share statistical data from our visitors. For example, we may communicate that 25,000 people viewed our website during our annual campaign. If you need to update your e-mail information or any other personal information, please contact info@artswave.org. Some of our website pages may contain links to other sites whose practices may be different than those of ArtsWave. We are not responsible for the information distributed or collected by these other websites. 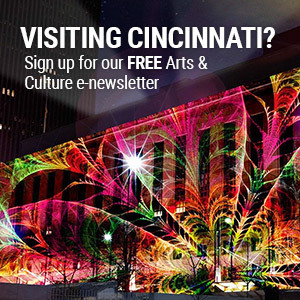 ArtsWave Guide provides users the opportunity to upload images to ArtsWave Guide for posting in connection with an event; listings for organizations, venues or educators; or an Artist Profile. Users are strictly prohibited from uploading any image in violation of any domestic or international copyright law. By uploading, or otherwise sending an image to ArtsWave for posting on ArtsWave Guide, user represents that the material does not infringe any proprietary or intellectual property rights of any third-party, and that user has the authority to grant, and does hereby grant, to ArtsWave a paid-up, royalty-free, nonterminable license to use, display, copy and transfer the image for and in connection with the ArtsWave Guide site, and the promotion of the event, organization, venue, educator listing or Artist Profile described by user in the submission form or email. ArtsWave reserves the right to exclude information, images, or graphical content that it determines, in its discretion, to be inappropriate for posting or use for any reason. We believe that protecting the privacy of children is very important. Our websites are not designed to attract individuals under the age of 13. Use of our websites is restricted to those over the age of 13. In accordance with the Children's Online Privacy Protection Act (COPPA), we do not collect or store any personal information, even in aggregate, about children under the age of 13. If we discover we have received any information from a child under the age of 13 in violation of this policy, we will delete that information immediately. If you believe that ArtsWave has any information from or about anyone under the age of 13, please contact us at the contact points specified below. By visiting the ArtsWave website at www.artswave.org, you are accepting the practices described in this Privacy Statement. If you do not agree with any of these terms, please do not use this site or submit any personal information.